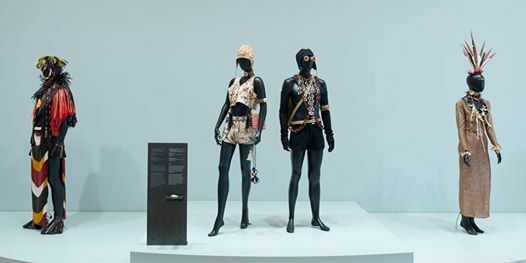 Join artist and Pacific Sisters’ member Suzanne Tamaki and New Zealand Fashion Museum director Doris de Pont for a VIP, early-morning tour of the exhibition Pacific Sisters: He Toa Tāera | Fashion Activists. Suzanne Tamaki (Maniapoto, Tūhoe) is an artist and social provocateur who uses fashion and photography to create visual narratives that respond to cultural politics in Aotearoa New Zealand. Her works often investigate the nature of Indigenous feminisms in the South Pacific, challenging the colonial gaze and Western ideas of nationhood within a bicultural nation. As an individual artist and as a member of Pacific Sisters and the SaVAge K’lub art collectives, Tamaki has exhibited works extensively throughout Aotearoa New Zealand and internationally. Doris de Pont is the founder of, and curator and director at, the New Zealand Fashion Museum. 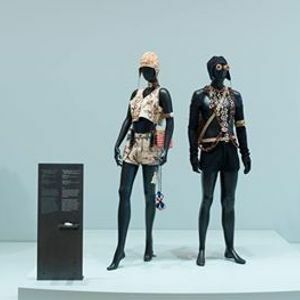 An award-winning fashion designer for more than 25 years, her designs have been included in museum and gallery exhibitions here and in Australia with garments in the permanent collection of Museum of New Zealand Te Papa Tongarewa, the Auckland War Memorial Museum and the National Gallery of Victoria. Since 2010 she has curated 15 exhibitions and published accompanying books and catalogues on fashion. She contributes to other publications and is regularly invited to comment on fashion in the media.